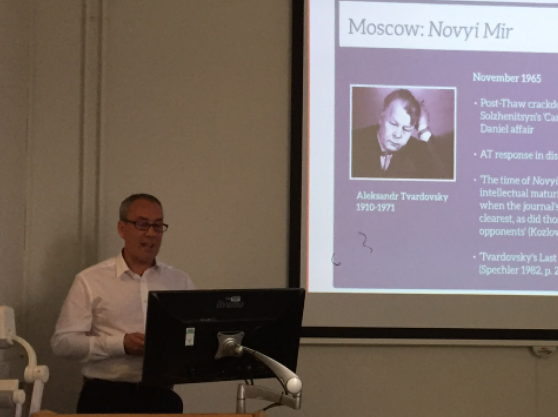 The Department of Modern Languages and Cultures hosted a successful symposium on the topic of ‘Making Languages Work – Towards a Closer Co-Operation between Schools and Universities’ last Wednesday. The aim of the symposium was to encourage networking and develop closer links between language teachers in the North West. Forty-five teachers, headteachers and colleagues from universities attended the event. Speakers included René Koglbauer, the former president of the Association for Language Learning and senior lecturer in the School of Education, Communication and Languages Sciences (ECLS) at Newcastle University; Hans van Mourik Broekman, the principal of Liverpool College; Tina Lonsdale, a French and Spanish teacher at Formby High School and organiser of the Polyglots programme; and Karen Boyland and Janet Kirby, from St Hilda’s CE High School and St Margaret’s CE Academy respectively. These latter two schools have engaged in a successful collaboration to offer a broader range of language choices to their students. The thought-provoking, at times stirring talks not only outlined the current situation of language learning in the UK, with its peculiar challenges, but also pointed to new opportunities, with prospects of a more focused, inspirational and engaging language learning experience for pupils and students. The talks stimulated much consideration, which resulted in an absorbing, lively discussion at the end of the afternoon. The event revealed a tremendous enthusiasm for language learning in all sectors. We hope that the day has enabled participants to make new connections and form networks, so that we can continue offering a wide choice of language learning opportunities in the North West. The networking event was enhanced considerably by the baking skills of members of the department, who contributed cakes from their regions. Guglhupf, tarta de Santiago, Versunkener Apfelkuchen and raspberry hazelnut friands were much appreciated and proved that the learning of language and culture is, ultimately, a pleasurable and gratifying experience! 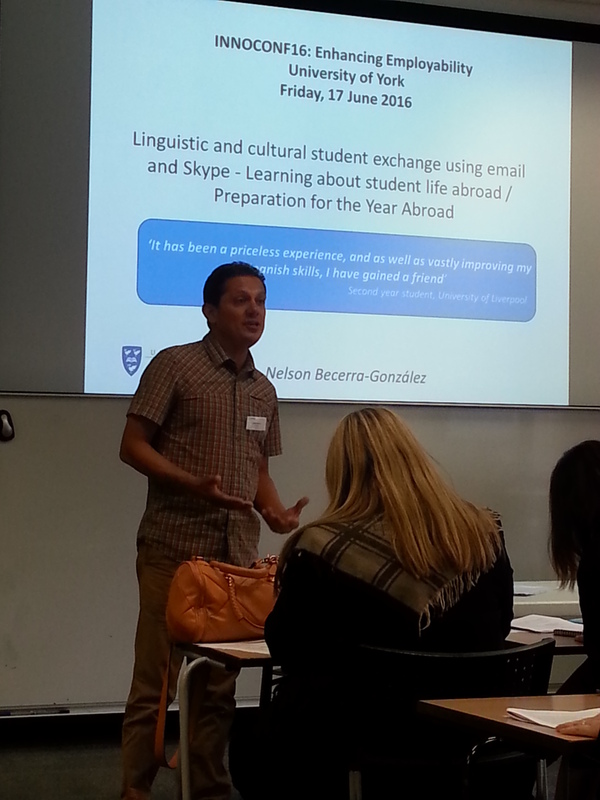 Earlier this month, MLC’s Hanna Magedera gave a paper at the second conference on Languages for Specific Purposes in Higher Education (LSPHE) at the University of Cambridge. Having attended the first edition of the conference last year, held at the University of Manchester, Hanna was delighted to present this year on the topic of how TV murder mysteries can be used as task-based learning for language skills, listening comprehension and cultural content. 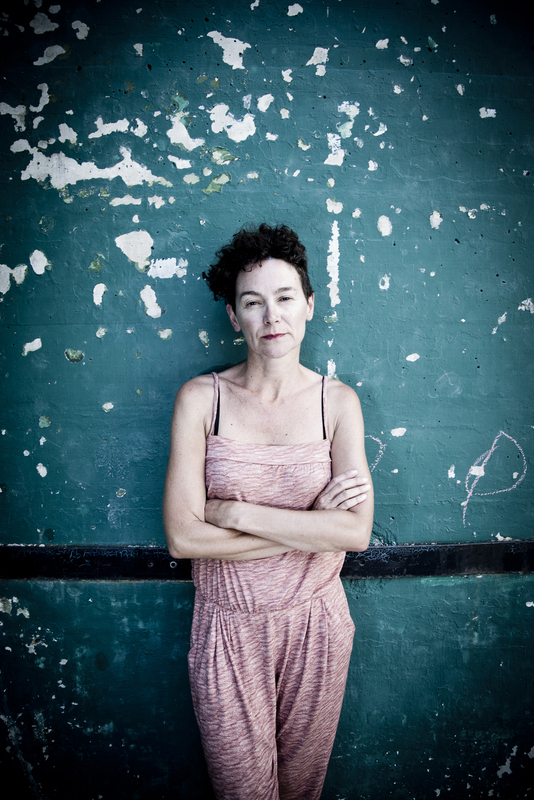 In her case study, the technical terms in the crime series related to medicine and forensic science, with specific reference to diabetes and drowning. Further to that, Hanna discussed techniques on how to use authentic film extracts to encourage students to practise forensics-related vocabulary typically used in TV crime series. Hanna’s paper focused on the dramatization of a forensics lecture at the University of Medicine in Vienna, in which a professor and his students proved how a victim was murdered. This lecture was broadcast across German-speaking Europe in 2015 as part of the ‘Grenzfall’ episode of the Tatort crime drama. TV crime series of this sort are naturally of interest to medical students, but they are also useful for students who specialize in interpreting in hospitals (among other contexts), as they build up their skills and vocabulary in an entertaining way as advanced learners. Although the video extract used by Hanna was in German, the conclusion was that similar seminars can be given in any language, using any crime series. 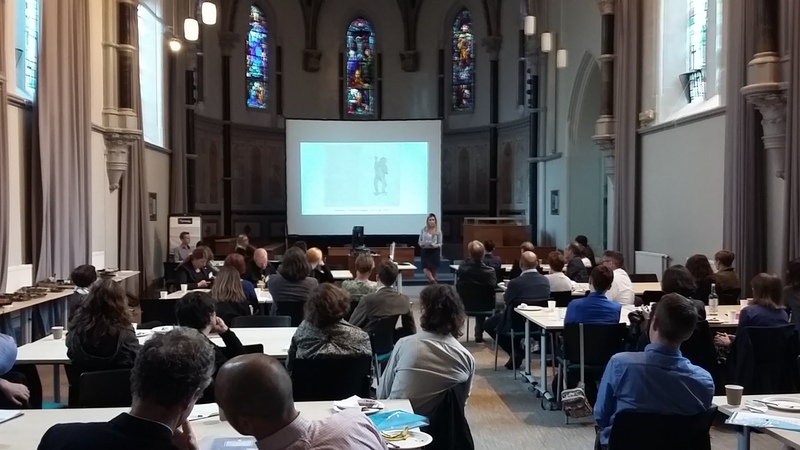 This year’s conference included a larger number of delegates and speakers, with Dr Jean-Jacques Richer from the Université de Bourgogne as the keynote speaker. One of the more innovative methods of teaching a foreign language was introduced by Cinzia Bacilieri from the University of York, who teaches Italian through the history of art, using museums or churches as examples to explain the plurals of nouns, or using art-related adjectives. From 30th August to 3rd September, Dr Rosalba Biasini attended the twenty-first AIPI (Associazione Internazionale dei Professori) conference at Eötvös Loránd University (ELTE) in Budapest. The conference was hosted by the ELTE Italian Department, a lively division that includes a doctoral programme with a number of keen and committed graduates. The AIPI is a long- established, international organisation that brings together tutors and lecturers of Italian across the whole discipline of Italian Studies, from literature to linguistics, from history to pedagogy. 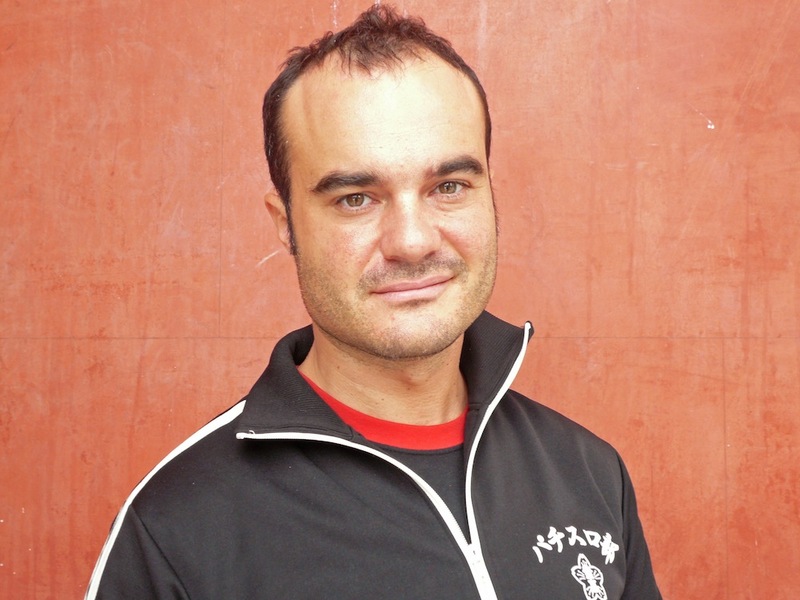 Dr Biasini has been an AIPI member since 2012 and has since attended all their biennial conferences, contributing to the panels dedicated to Italian language teaching. In Budapest, Dr Biasini delivered a paper on the use of translation as a didactic tool with beginners’ learners, analysing an approach to teaching grammar that she is experimenting with her own classes at the University of Liverpool. These reflections are part of Dr Biasini’s research on translation and language learning and, following the paper she presented at a previous AIPI conference (Bari 2014), she published a chapter in the 2014 AIPI conference proceedings. The conference was also attended by Dr Marina Spunta, external examiner in Italian at Liverpool. Dr Spunta, Senior Lecturer in Italian at the University of Leicester, presented an engaging paper during the session, dedicated to the presence of the river as a symbol in Italian literature, focusing on Gianni Celati and Peter Handke. Dr Biasini was extremely pleased with this experience, as AIPI conferences always prove to be an excellent environment for exchanges and networking, as well as for discovering more about the learning of Italian language and culture in different countries. During the inaugural lectures, the Italian ambassador to Hungary, Maria Assunta Accili, recalled in her speech that in Hungary a high number of students decide to study Italian as a foreign language in secondary schools as well as in universities, a sign of the evergreen interest in Italian language and culture around the world. The Department of Modern Languages and Cultures invites teachers and other stakeholders from schools, universities and beyond to attend the afternoon symposium ‘Making Languages Work – Towards a Closer Co-operation between Schools and Universities’ on Wednesday 14 September 2016 from 12.00-16.15. As the prospect of Britain leaving the EU throws the problems of inward-looking, insular policies into the spotlight, the need for intercultural sensitivity and foreign language skills is becoming more and more apparent. British school leavers and graduates need to be prepared to enter the global job market, where international agility and multilingualism are the norm and English as the lingua franca leaves few, if any, competitive advantages for monolingual English native speakers. The symposium will be used to outline the situations and expectations in Secondary and Higher Education and to forge closer cooperation between foreign language teachers in schools and in universities. How can we identify the invisible language repertoires and raise the educational attainment of pupils with multilingual backgrounds? How can we facilitate the recognition and accreditation of all existing language skills? How can university language students support and enrich the curriculum through placements, ‘adopt-a-class’ schemes and residence-abroad partnerships? How can the university language departments, with their focus on literary studies, film, linguistics and translation, support school teachers in their response to the new curriculum? This symposium will offer the opportunity to share ideas, to develop frameworks for closer collaboration and partnerships and to create new opportunities for students to learn new languages and to further develop and employ their existing multilingual repertoire. The full programme and registration details can be accessed here. Last week, Modern Languages & Cultures hosted the Eighth Linguistic Landscape workshop, known as LL8. Dr Robert Blackwood, Dr Stefania Tufi, and Will Amos – a postgraduate student on the department’s sociolinguistics programme – organised the event which has been two years in the planning. LL8 in Liverpool follows on from previous workshops in Tel Aviv, Siena, Strasbourg, Addis Ababa, Namur (in Belgium), Cape Town, and Berkeley. 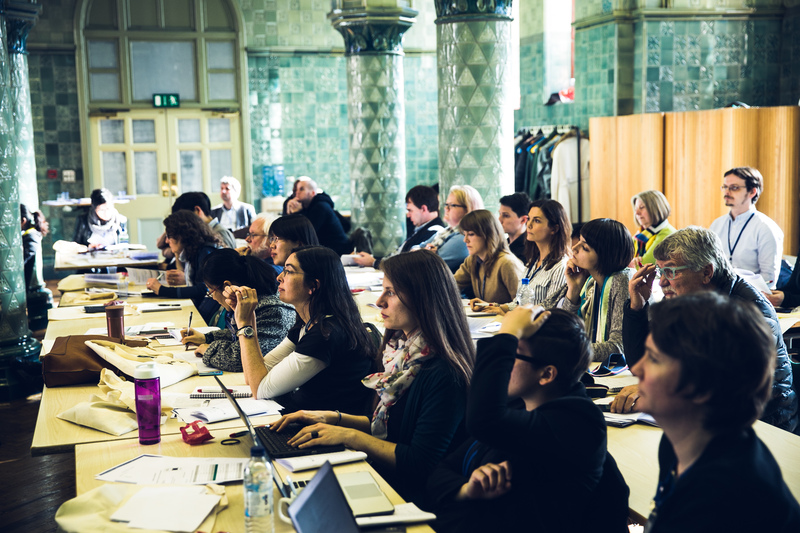 The workshop saw over 60 delegates from 25 countries travel to Liverpool for two and a half days of academic exchanges, discussions, and lively debates. The geographic spread of the topics tackled reflected the diversity of the participants, ranging from rural Mauritius, deepest Arkansas, and Zambia’s Victoria Falls through to downtown Hong Kong, central Montreal, and suburbs of Brussels. At the same time, participants drew on a range of disciplines, including sociolinguistics, sociology, cultural studies, human geography, and literary criticism. 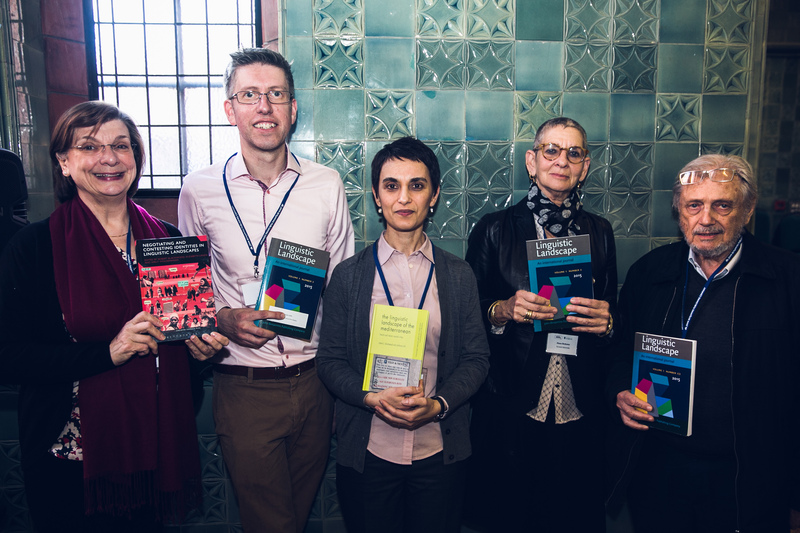 The conference was also the occasion for the launch of the journal Linguistic Landscape, with a wine reception sponsored by the publisher John Benjamins. The first issue of the second volume of the journal will appear this month, and LL8 was an ideal opportunity for the journal’s editors, Professor Elana Shohamy (Tel Aviv University) and Emeritus Professor Eliezer Ben-Rafael (also of Tel Aviv University) to highlight the work and reach of the journal. At the same reception, two other recent publications in linguistic landscape research were celebrated: Professor Elizabeth Lanza (University of Oslo) presented the volume that emerged after LL4 in Addis Ababa, whilst Dr Tufi discussed the new monograph on the linguistic landscape of the Mediterranean that she co-authored with Dr Blackwood. In addition to the intellectual debates, the delegates were able to see parts of Liverpool, including and beyond the campus. 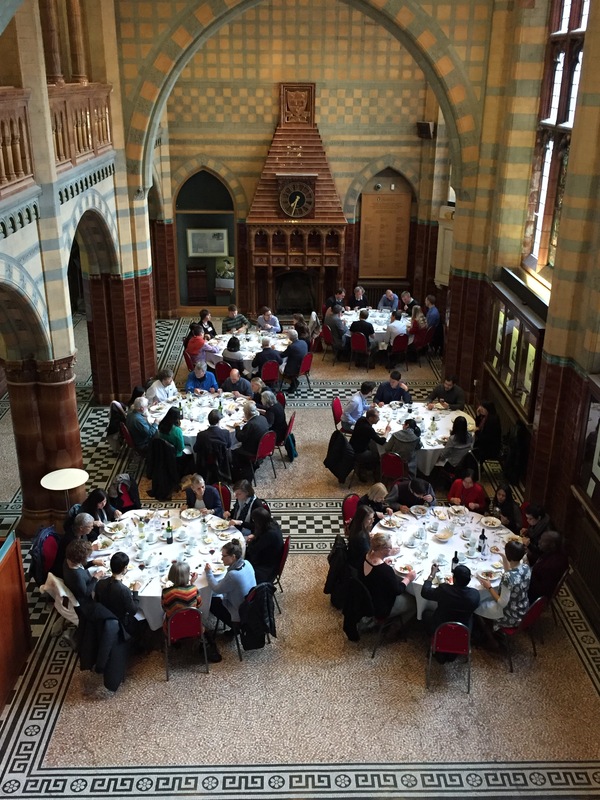 The conference dinner was held in the University’s Victoria Gallery & Museum whilst the second day of the conference took place in Liverpool’s Bluecoat Chambers, in the city centre. 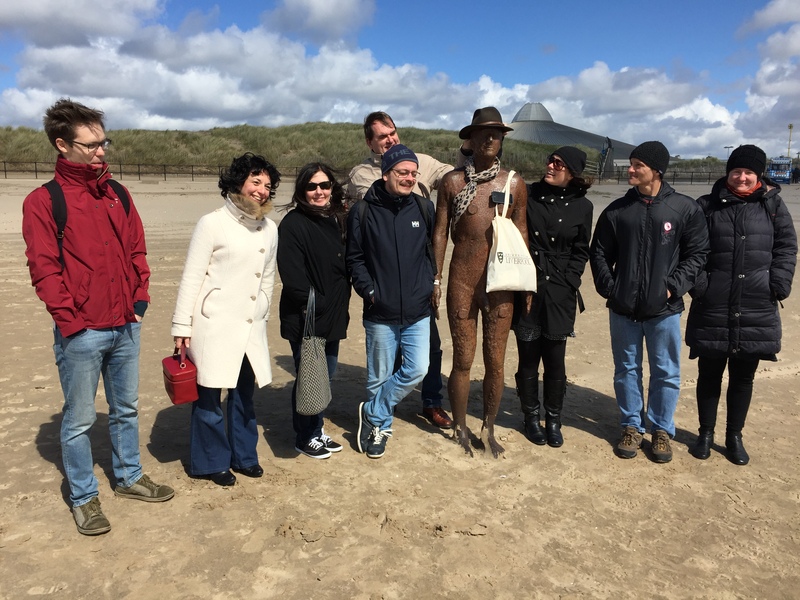 Those who stayed on for a day after the conference were treated to some great spring weather, and having taken a ferry across the Mersey, explored first Port Sunlight and then Crosby beach, and the Anthony Gormley installation there. Modern Languages and Cultures was host to the 52nd Society for Latin American Studies (SLAS) conference. This is an annual conference that brings together Latin Americanists from across the world to present on and discuss their research. Founded in 1964 SLAS is one of the leading Latin American studies organizations in Europe. It is made up of a membership of 400 experts from a broad spectrum of disciplines including politics, anthropology, international relations, ethnography, cultural studies and history. As can be seen from the schedule, there was a rich array of material presented. The two keynote speakers provided insightful analysis on diverse topics: Professor Hugo Cancino (Aalborg University, Denmark) on Latin American Studies in Scandinavia, and Professor John D French (Duke University) on how the term ‘cunning’ fits the former Brazilian president, Luiz Inácio Lula da Silva. The packed schedule saw 40 panels over two days under the theme, ‘Building Bridges’. 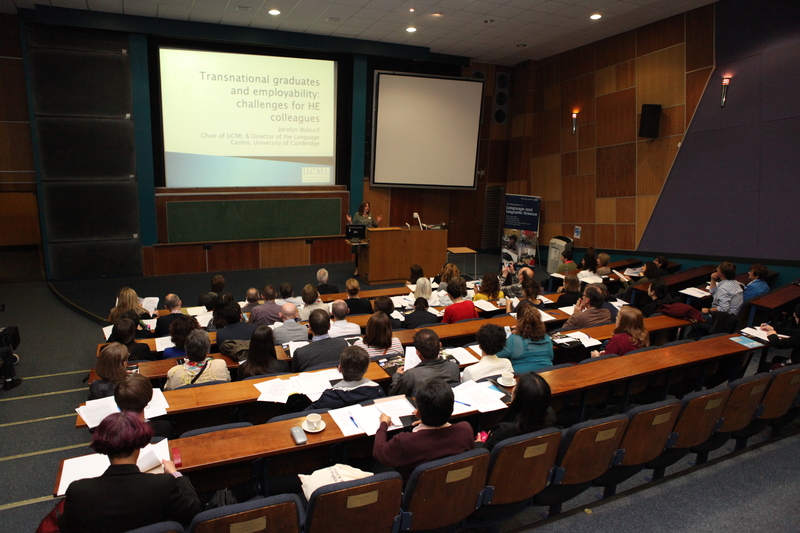 Postgraduate students, junior and senior academics from the UK, other European countries, Latin America, the US, Canada and elsewhere covered a wide range of topics in the Arts, Humanities and Social Sciences, including anthropology, cultural studies, history, film, digital culture, literature, politics and socio-linguistics. Amongst these luminaries, Modern Languages & Cultures scholars presented on digital culture (Claire Taylor), film and social media (Niamh Thornton), detective fiction (Ailsa Peate), politics and governance (Marieke Riethof), and history (Pablo Bradbury and Jack Webb). In addition, Lucia Brandi presented the trilingual book Tsikan Chu Nipxi / La Viejita y la Calabaza / Buri and the Marrow, which has emerged from her post-graduate research. As well as the stimulating intellectual exchange, there were plenty of opportunities to meet and chat over breaks and lunch served with great efficiency and friendliness by the University caterers, a tasty reception by the local tapas restaurant, Roja Pinchos, and the delicious conference dinner held in the impressive setting of the Anglican Cathedral followed by Céilí dancing. At the AGM, we were delighted to hear the president of SLAS announced that Modern Languages & Cultures postgraduate student, Ailsa Peate has been awarded the prestigious Harold Blackmore essay prize, which she will write about soon on this site. The event went smoothly thanks to the sterling work by Marieke Riethof supported by her organising team: John Fisher, Chris Harris, Natalia Priego, Niamh Thornton, and Katinka Weber; our post-graduates were ever-smiling, organised, and provided amazing practical help in advance and during the two-day conference: Pablo Bradbury, Sheneez Amara, Lucia Brandi, Juliette Doman, Erika Drummond, David Harrison, Ailsa Peate, and Jack Webb. In 2016 we celebrate the 50th anniversary of the opening of Liverpool’s Centre for Latin American Studies (later re-named the ‘Institute of Latin American Studies’). The Institute was one of the six Parry centres for Latin American Area Studies founded in the UK in 1966. The conference marks the re-launch of Latin American Studies in Liverpool as the North West Americas Studies Network (NWASN). This will be a Liverpool-based multidisciplinary network whose aim is to bring together experts in Latin American and North American studies to support research in the field, exchange ideas, and to provide opportunities for collaborations amongst the members.